White Crane is proud to feature two homes during the Fall Parade of Homes Remodelers Showcase®. The tour takes place on September 30 and continues through Oct. 2, 2016. Our homes are #R36 and #R39 on the tour. Guidebooks can be picked up at 250 regional Holiday Station Stores or can be viewed here. Our first home, #R36, is located at 3512 Humboldt Ave S in Minneapolis. The owner of this home had grown up in it, and, as an adult, the home and neighborhood called her back. Unfortunately, the house had not grown up with her and needed a lot of updating. Although multiple rooms were remodeled and a deck was added, it’s the small details that catch the eye in this remodel. Look for a handmade tile backsplash and a porcelain tile planked floor in the kitchen. 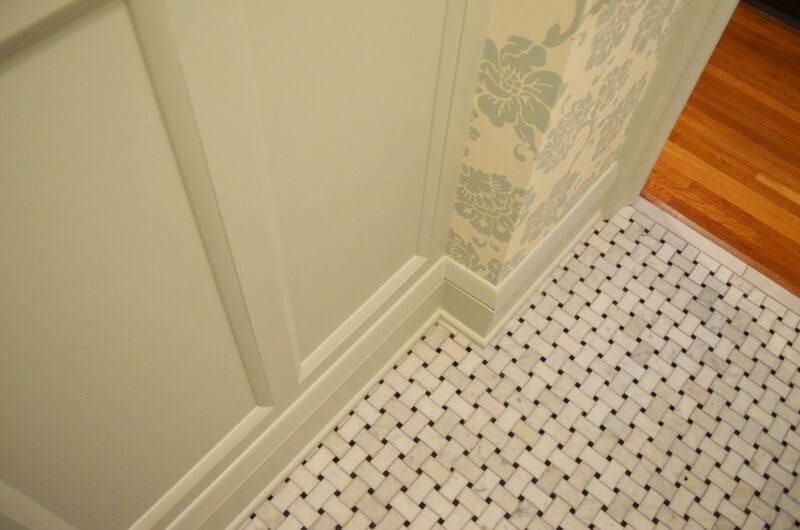 The powder room is the pint-sized star of this show, and features a marble basket-weave floor and intricate trim/wainscoting. Our next remodel project is #R39 and is located at 2923 46th Ave S. Four females with global tastes live in the home and their style is visible throughout the remodeled lower level and kitchen as well as in the upstairs bath remodel. The U-shaped kitchen is a beauty with cork floors and a matte glass backsplash. In this home, note the interesting ways in which existing space was used and new space was created to better suit the family and their many guests. For more details on the Remodelers Showcase and White Crane’s entries, visit the Fall Parade of Homes Remodelers Showcase® website.